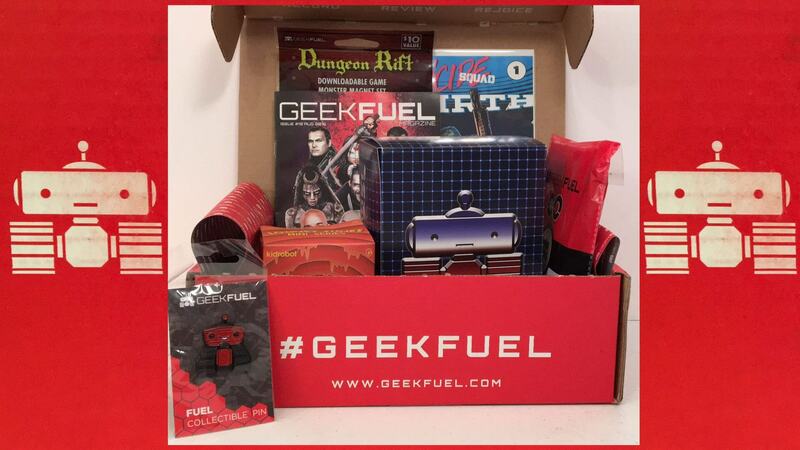 Geek Fuel offers a monthly subscription which comes with a box packed with limited edition toys, collectibles, games, comics, stickers, buttons, and other fun stuff. While the contents vary by month, you will ALWAYS get an exclusive t-shirt in your shipment. Transformers Protect T-Shirt: As with any Geek Fuel Box, there was an awesome t-shirt inside. 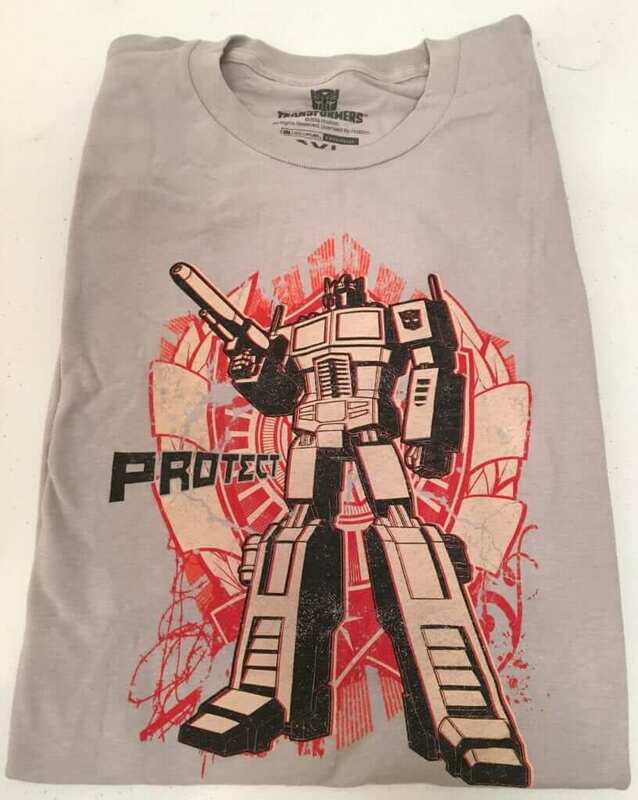 This Transformers t-shirt would make any fan of the Autobot vs Decepticon world happy. 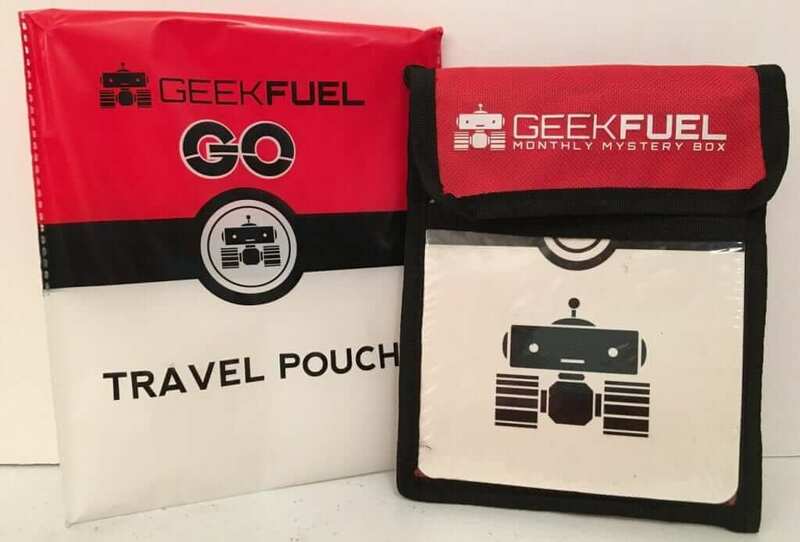 Exclusive Geek Fuel Go Travel Pouch: This is the first item in a new series of Geek Fuel Travel items to help you when you are traveling. This pouch will lighten your load and help you keep the small necessities close by without having to carry a large bag. I look forward to seeing what travel item they come up with next! 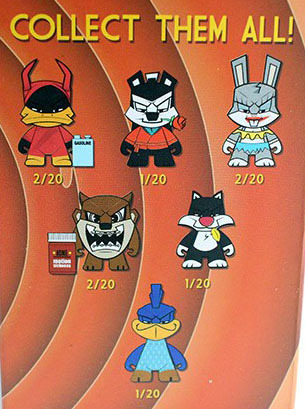 Kidrobot Looney Tunes Mini Series: We didn’t open ours but as you can see there is a possibility of 6 different Looney tune characters subscribers could have gotten in their mystery box for August. Dungeon Rift Downloadable Game and Magnets: As with every Geek Fuel Mystery Box you typically get a free Steam game download valued at $10 or more. 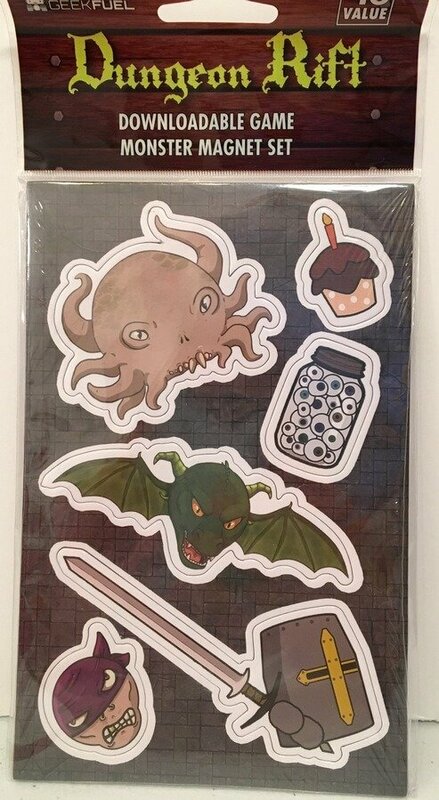 Dungeon Rift was the game for this month and along with the game, you received some magnets too! 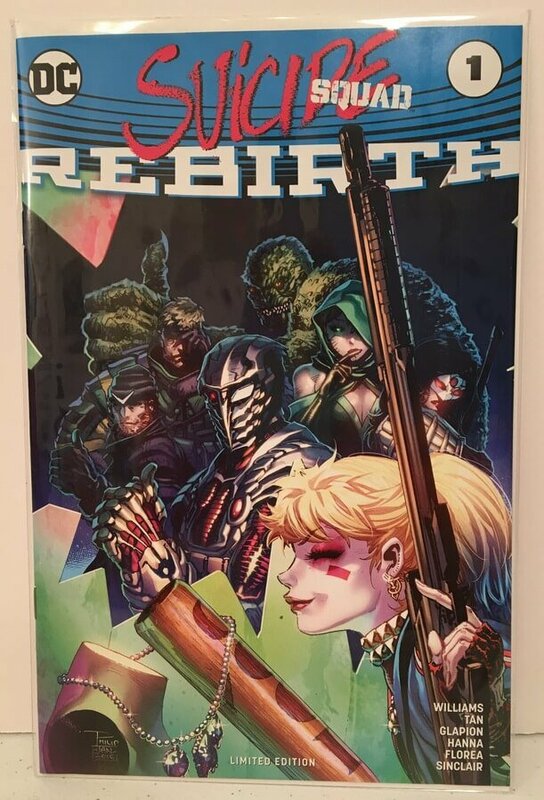 Exclusive Suicide Squad Rebirth Issue #1: This is a Geek Fuel Exclusive copy of the 1st edition of the Suicide Squad Rebirth comic. 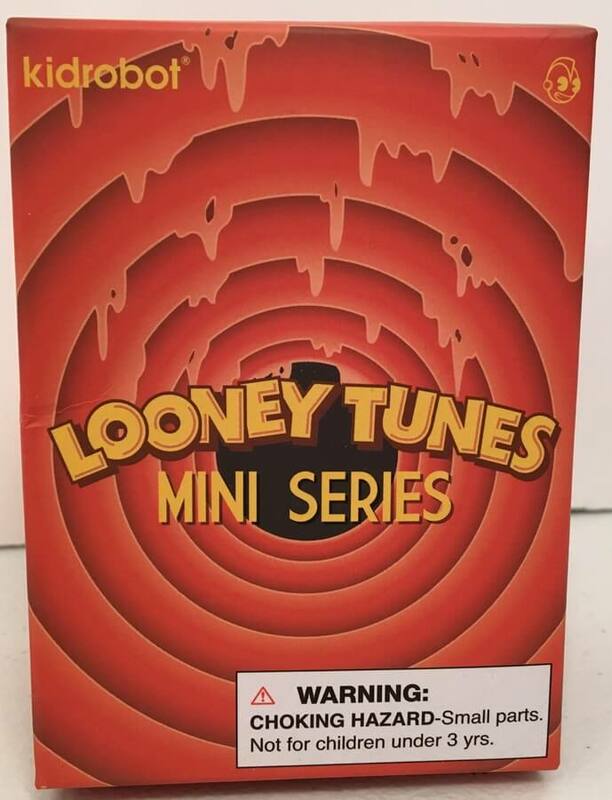 There were 3,000 boxes that included the black and white variant of this comic. 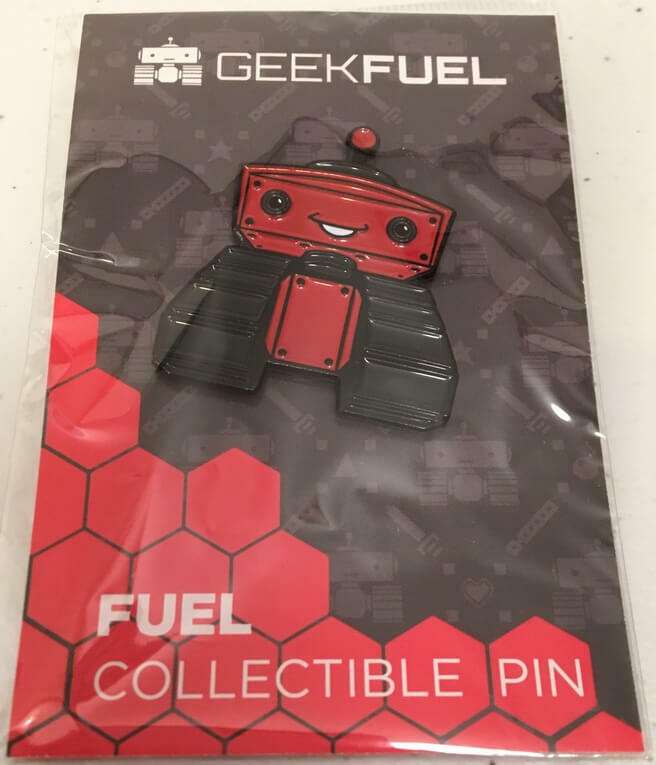 Finally, each box contained a Geek Fuel collectible pin for all those pin collectors out there! Join now and you will get the September box which features Harley Quinn, X-Men and Everyday Nostalgic items.